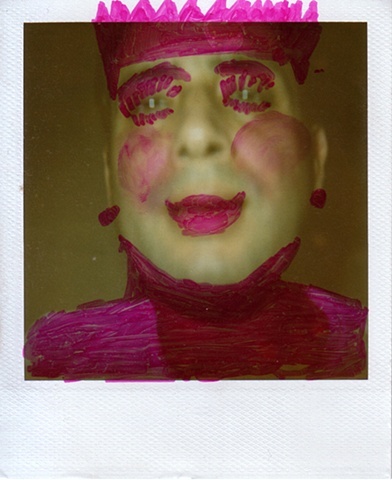 "The other I'" is the first prototype in a series of performative Polaroid portraits of Lasse Lau's Jewish boyfriend. Lasse Lau (born1974, DK) is a queer and social activist, visual artist and filmmaker, studied at the Whitney Museum Independent Study Program and the Funen Academy of Fine Art. Lau had among other exhibitions in Hamburger Bahnhof, Berlin, Aarhus Art Museum, Denmark and PS1 MOMA in New York. He lives in Brussels.